Ken Pfeifer[right] is the Chief Investigator for MUFON New Jersey and Founder and Editor of World UFO Photos. His job is to receive reports of unusual lights, aircraft or other phenomenon that could possibly be evidence of alien encounters. 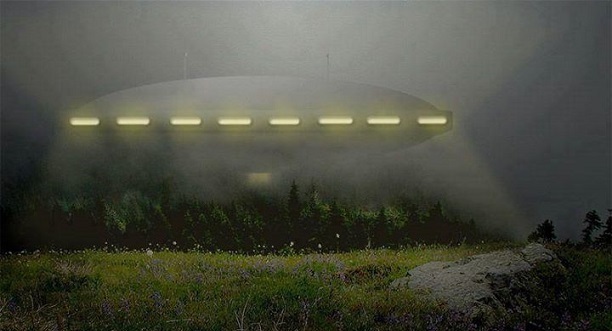 viewzone:What is the most convincing evidence of a UFO that you have seen in your work? 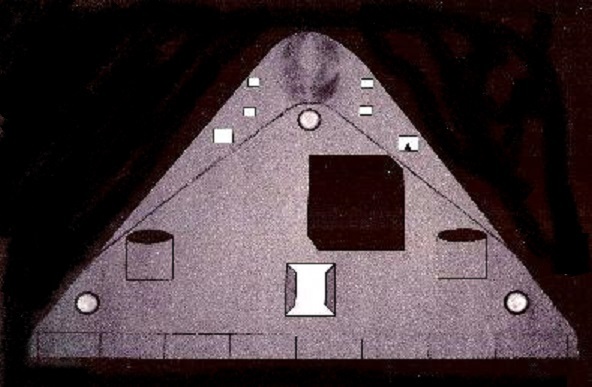 I have enclosed a copy of his drawing of the triangle [above]. After months of interviewing neighbors, I closed out the case as “unknown”. The crazy thing about the whole investigation was that the neighbors did not want to talk to us at all. They were all very rude and just turned their back on us and walked away! Even the witness, who knew some of his neighbors, did not get any cooperation from them. “C.S.” and his wife were new to the community. He had lived there approximately 6 months before the encounter. Then something strange happened — 11 months after this sighting. The witness, C.J., had another sighting. But this time he had some great photos to show! 9-24-07 Alloway Township New Jersey. MUFON case 8111. The witness statement is:”The night of September 24, 2007 was brightly lit due to a full moon. It was approximately 11:30pm and I was outside with a digital camera nearby. I had nothing special in mind but, due to the bizarre experience I had last October 2006 (this experience has been recorded on the Mufon web site), I always keep a camera on hand when I’m out at night. KENS NOTE: This witness had now become an investigator for MUFON because of his first triangle sighting. I was the Chief Investigator and we finally closed out the case as “unknown”. Of course we got no cooperation from the neighbors. 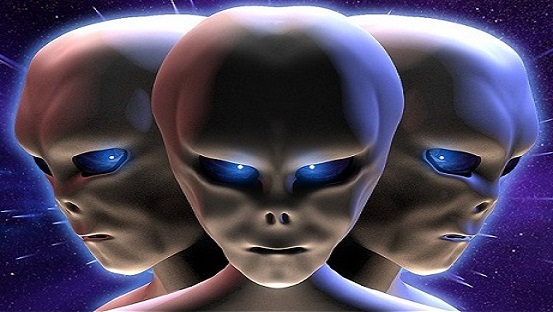 viewzone:What do you think the aliens are up to? Ken:“Personally I think the Aliens are investigating our Earth for a possible place to live or for our resources. Even though we are a very unique planet, I feel there are thousands and possibly millions of planets just like ours are spread throughout the universe. 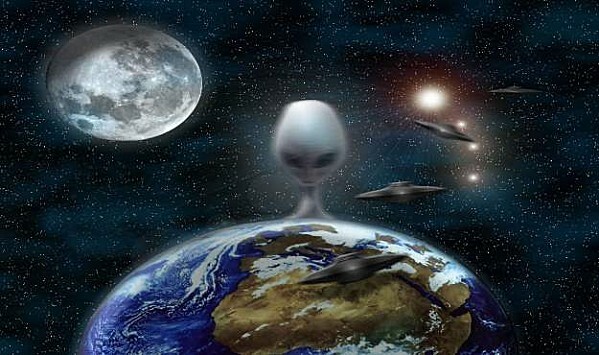 The aliens must of found some way of reaching far destinations in a short time.I also feel our earth has been here for billions of years and we are only one of a thousand different civilizations that have come and gone over the centuries. The big question is, when will it be our turn to disappear? December 2012 could be the date but I really do not think so. We will still be here, killing our brother and slowly destroying this beautiful planet. 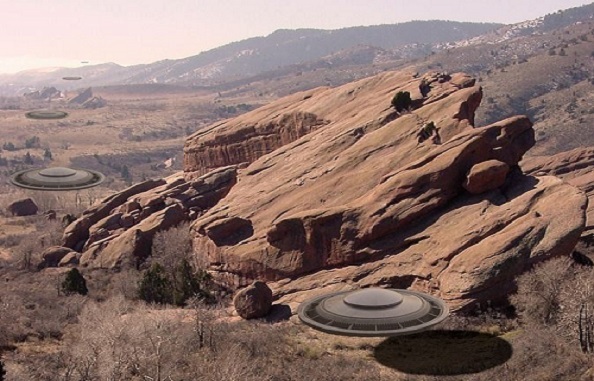 viewzone:What things would you like people to know about UFOs, aliens and such? KeN:“I feel people have to be educated about alien life. If they can accept the fact that these things exist, it will be less of a shock when disclosure comes. I am glad that people like you and me can spread the word and I am excited that the news media is starting to report ufo sightings all over the world.With everyone basically walking around with a camera or video capablilties with their phones, we are getting more videos every day. We are living in exciting times and I feel I will be alive when disclosure happens. Our world will be changed forever. Some for the good and some for the bad. I was out in my backyard with my friend and my sister. We were just hanging around and could not have missed the object as it was large and lower than a helicopter would typically fly. It was closer to my neighbors backyard but hovered over towards us. I was in awe and excited and happy as I had always hoped to see such a thing. It was silver and acorn like or a tear drop shape. My guess is that it was only 180 feet high. It was almost directly overhead. I witnessed it along with my friend and sister. It was silent and moved in the horizon toward the east or NE. It stopped, went down toward the ground some. this is all very slow. Then back up. It seemed to do a slow zig zag as if it were checking out or observing the area and maybe even us. I waved at the object repeatedly. This made my friend and sister nervous. I think it may have seen us there. It was NOT a balloon. It was more round toward the bottom and spun quickly. Plus the way it moved a balloon could not. It hovered about 70 degrees above us for a while this way then when it left it ascended diagonally toward the north east gradually but once it was about, I would say 400 feet( maybe?) it was going so fast that it completely disappeared into the atmosphere within a second. I was hesitant to move and watched it the whole time. I could have run for a camera but I did not want to miss seeing it. 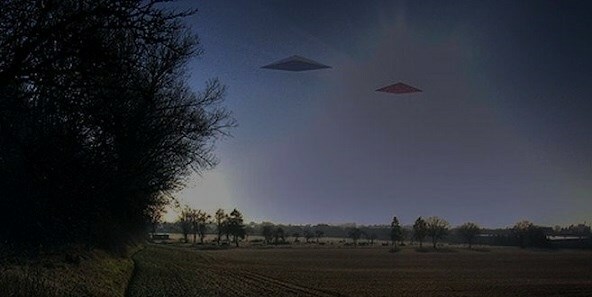 NOTE: The above photo was taken on 6-22-11 above Vytegra Russia. At 2207 hrs, US Air Defense radar detected an unknown object approaching US airspace from the Gulf of Mexico. 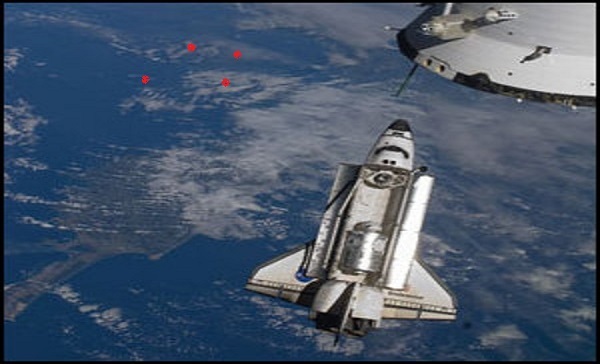 Originally the object was tracked at 2,200 (2,530 mph) knots on a bearing of 325 degrees and at an altitude of 75,000 feet, a course that would intercept US territory about forty miles southwest of Corpus Christi, Texas. After approximately sixty seconds of observation, at a position 155 miles southeast of Corpus Christi, the object decelerated to approximately 1700 (1,955 mph) knots, turned to a heading of 290 degrees, and began a slow descent. It entered Mexican airspace approximately forty miles south of Brownsville, Texas. Radar tracked it approximately 500 miles to a point near the town of Coyame, in the state of Chihuahua, not far from the US border. There the object suddenly disappeared from the radar screens. During the flight over Mexican airspace, the object leveled off at 45,000 feet, then descended to 20,000 feet. The descent was in level steps, not a smooth curve or straight line, and each level was maintained for approximately five minutes. The object was tracked by two different military radar installations. It would have been within range of Brownsville civilian radar, but it is assumed that no civilian radar detected the object due to a lack of any such reports. The point of disappearance from the radar screens was over a barren and sparsely populated area of Northern Mexico. At first it was assumed that the object had descended below the radar’s horizon and a watch was kept for any re-emergence of the object. None occurred. The CIA immediately began forming a recovery team. The speed with which this team and its equipment was assembled suggests that this was either a well-rehearsed exercise or one that had been performed prior to this event. In the meantime, requests were initiated at the highest levels between the United States and Mexican governments that the US recovery team be allowed onto Mexican territory to “assist.” These requests were met with professed ignorance and a flat refusal of any cooperation. By 21:00 hrs, 26 Aug 1974, the recovery team had assembled and been staged at Fort Bliss. Several helicopters were flown in from some unknown source and assembled in a secured area. These helicopters were painted a neutral sand color and bore no markings. Eye witness indicates that there were three smaller craft, very probably UHl Hueys from the description. There was also a larger helicopter, possibly a Sea Stallion. Personnel from this team remained with their craft and had no contact with other Ft. Bliss personnel. Satellite and aircraft overflight that day indicated that both the crashed disk and the civilian aircraft had been removed from the crash sites and loaded on flat bed trucks. Later flights confirmed that the convoy had departed the area heading south. 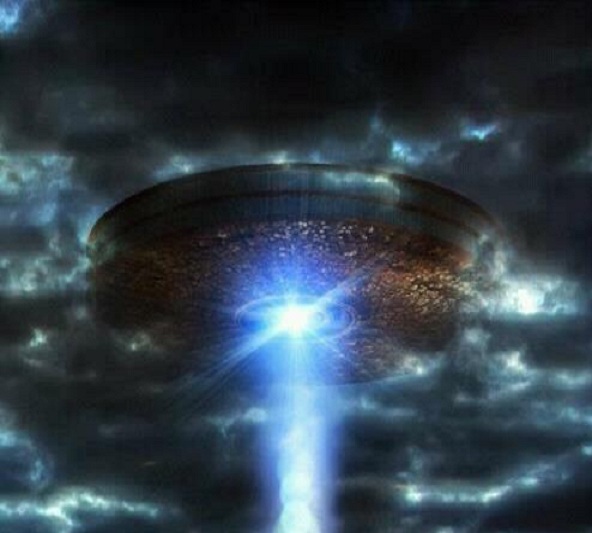 The best description of the disk was that it was sixteen feet, five inches in diameter, convex on both upper and lower surfaces to the same degree, possessing no visible doors or windows. The thickness was slightly less than five feet. The color was silver, much like polished steel. There were no visible lights nor any propulsion means. Unfortunately what caused the deaths of the Mexican recovery team is not known. Speculation ranges from a chemical released from the disk as a result of the damage, to a microbiological agent. There are no indications of death or illness by any of the recovery team. NOTE: The above image is a rendering. 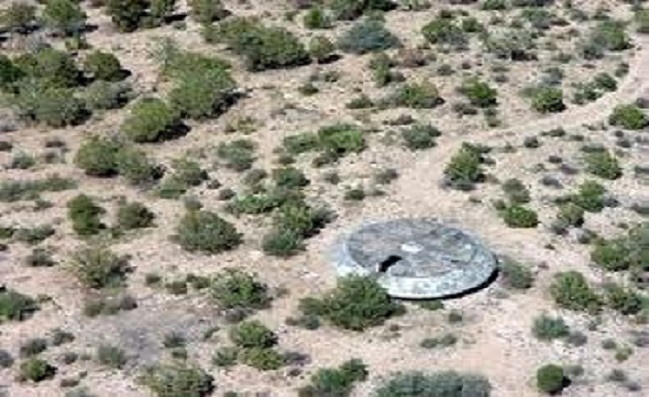 KENS NOTE: Please go to www.ufocasebook.com to read the rest of this amazing account. This craft flew right over our home. My wife was recording while my daughter and I were about a 1/4 of a mile away at the post office in Fort Ogden, Florida. Before we went over there we saw a number of large white orbs flying from cloud to cloud. It was a full moon so they were easy to see at around 8 pm. So I told my wife to go grab the camera and see if she could get any of them on film. While at the post office getting ready to get in our SRX we saw everything light up brighter than the moonlight and we looked over and this craft was not 500 yards from us. It was not far above the tree tops moving very slowly; it was bigger than a 747 easily and we heard no sound, it moved along a southern path across 17 highway right in front of us. Then it turned like it steered like a car and went parallel to the highway and started to turn back like it was going to head back over the highway then just vanished. I’m not sure if it accelerated so fast we couldn’t see it or literally vanished. We heard no sound from it and we headed home hoping that my wife was videoing and saw the craft. When we got home she was outside and said you won’t believe what flew over the house and I said we were right next to it and tell me you got it on video and she said yes, so here it is. She said she heard sound from it like an electrical whirl or buzzing sound, but very low decibels. My daughter and I heard nothing. The video is unedited and uncut. My daughter and I both agreed that it was triangle-shaped with some things like arms coming off of it. When we saw it, it had a ton of solid lights and some flashing strobes on the sides and some kind of spinning thing on it. We are sure there will be a lot of reports because there were definitely more witnesses then just us 3. Could it have been government secret craft or something else? You decide or if you know tell us because we are baffled by it. NOTE: The video was of poor quality. The above image is a rendering. On Sat morning me and my wife saw another strange thing in the sunny clear sky. We were on our way to Prescott AZ to meet some kids at 8:00 am 10.19.13. We got off from I- 40 and went south on Hwy 89. Halfway to Prescott in some hilly area and covered with small trees. I had noticed a white disc object on the N. side of Granite Mt in the distance. It looked like some smoke that was coming out of the Mountain. Granite Mt still looked the same with rocks, it was light tan. I also noticed that there was some flat areas in the valley, but to me it could have been gray smoke. I kept staring at the haze and Mts in the distance as we went around turns and up and down hills. I then remembered that there are no mesa tops in Prescott and told Terrie to look at what I am seeing. She confirmed that they are flat mesa’s with protruding tops. We saw two big ones and one small one very clear and square in the distance. It also looked like some pointed poles below the tops, which were very pointed at each end. They were all one med gray color and very large.! There was no shadows or land layers to see. As we drive about 67 mph, we see the left side of the middle mesa start to distort and change. The white disc is now vanished some how and the left areas are distorting and some things can be seen moving. We lost view from trees and rock hill. When we came out, we saw Granite Mt some other hills and Mts in the valley. They had different shades of color and looked normal in the distance. They looked much smaller now with depth. There is No white disc, No mesa’s and No pointed poles any where to be seen. NOTE: The above image is a rendering. Grand Island, Nebraska – 8/8/64 – unedited: This is an incident I witnessed as a 6 year old boy. We lived at Grand Island, NE. The neighborhood was fairly new at the time and compared to today, was on the fringes of several farms and quasi-rural. The northern major road running east/west was Capitol Ave. and one block south was State St. Young kids in the neighborhood attended West Lawn Elementary (not the new one, but rather the old one at State St. & Broadwell). This is the view looking to the north, which was right in front of our house. There were not many trees back then as the neighborhood was very new. There were even fewer houses. Most of the houses feature here on the right were not built until 1965/1966. So the view northward was very open and clear all the way up to Capitol. On Saturday, August 8th, 1964 a lot of the neighborhood kids and I were out playing in the street. It was typical stuff; riding bikes, playing Army, simply running all over the place. A lot of parents were out working on their yards, washing their cars, etc. Just a typical hot and very humid day in Central Nebraska. An object drifted over the sky, transiting NW to SE on its flight path. It got everyone’s attention pretty quick. It was huge. Far bigger than a modern airship or similar type of craft. It was slightly overcast that day, but you could see it clearly. It was black, shaped like an oval cylinder. It had a red line going around the middle of it that was lit up and appeared almost electrical in nature. I remember smelling ozone. Like you do when you short a wire out or with lightning. At the bottom and slightly to the side was some type of opening or even possibly a light source that was intense blue-white. It was not a bean or anything, at least it did not appear that way. It makes me think it was an opening as it appeared and then disappeared a couple of times. I do not recall anything coming out of it. But there was a strange sound, almost like ringing in your ears – but it was a really high frequency. It didn’t hurt or anything, but it was there. People were talking about it and my Dad (who cannot remember it happening) said it was probably some kind of USAF aircraft. One of the neighbors, my friends grandfather thought it was probably something the Russians had cooked up to scare people with. The odd thing in this was the longer it hovered there, the more quiet everyone got and soon stopped talking altogether. They just stared at it. Even my friend “D” and another friend, a girl named “P” stopped talking and just stared at it. No one spoke, no one moved. I think at some point that the same happened to me. I have no recollection of time between the incident and Sunday dinner, which was the next day. I do not know what happened in that time period, as the next day we were getting in my Dad’s Valiant and heading over to my grandmother’s house. I am guessing here, but I believe it may have been as large as a ¼ mile in length. It was simply massive. Most of the kids there that day are haunted by this incident. They know it happened, but none of the adults remember anything at all. It is like their memories were erased. This has haunted me for 50 years. I remember it as clear as daylight. An extraordinary event took place in Llandrillo, North Wales, United Kingdom. On a winter’s night, a great terrible noise was heard by many of the village, and the first thing that came to mind was that there had been an explosion of some type. As some of the villagers went outside to see what had occurred, they were amazed by the scene of blue and orange lights near the mountain of Cader Bronwen. From witness statements, and the next day’s press, came this explanation, “There was a huge explosion a few minutes after 8:30 PM. From various accounts, this preceded, some say by up to two or three minutes, a violent shaking of the ground, like a medium-sized earthquake – objects inside houses were knocked off shelves.” In a very similar scenario to the Kecksburg crash, authorities rushed to the scene; police first, followed by Royal Air Force personnel. Immediately, the area around the crash was cordoned off with nobody allowed to enter. This operation seemed like overkill; the area being so remote, and uninhabited. This search and rescue lasted for several days in the Berwyn Mountains. One witness, who was working at a hotel in Bala, stated that a group of men had arrived at the hotel, and stayed several days. They were involved in the operations at the crash site, but refused to answer any questions about the activities there. One of the most compelling accounts of the events in Wales came from a lady who was a nurse living at Llanderfel. She was asked by local police to assist in a plane crash near her house. Gathering her things together, and not having any one to watch her teenage daughters, she took them with her to the location given by the police. She was driving on B4391, which goes from Bala to Llangynog. The road was nearly deserted, being at 10:00 PM on a cold, wintry night. As she proceeded up into the mountains, she was astonished at what she saw next… There was an object “quite intact” which was large, circular, and glowing an orange color. Her and her two daughters were within a few hundred feet of it. She could not be mistaken at what she saw, a UFO. She could also see police and military personnel, which were much closer to the UFO. They instructed her to leave the area, even after she explained why she was there. Afraid for her and her daughters’ safety, she left without argument. Authorities escorted her from the site. The roads around the site of the unusual object stayed closed for a number of days afterwards. The nurse talked to some of the local shepherds who complained that they were not even allowed to tend their flocks. She and others were convinced of a military and governmental cover up of what really happened on January 23, 1974 near the Berwyn Mountains. Was the explosion a mechanical failure of the orange glowing craft, or did another UFO crash? We may never know for certain. NOTE: The above image is a rendering. A husband and wife in Houston, Texas, claim they have been abducted by aliens several times, including an incident where a fetus was taken from the woman, according to a Local 6 News report. He was a child in a Houston park the first time he was abducted. He said he was lifted in the air at the time of the alleged abduction. “I remember just floating up higher and higher, the witness said. “And, all that was around were stars and blackness. And then, I blacked out.” She lost a baby during one of the encounters. She also drew a photo of the aliens who abducted her. Local 6 News showed video of a hypnotist trying to retrieve memories of the abduction. “They’re touching me — quit touching me,” He screamed in fear during the session. A Harvard psychiatrist, decided to do research on people’s abduction claims similar to this one. The psychiatrist ran an advertisement searching for people who wanted to be included in a book about alien abductions. “When I ran the first ad looking for people who thought they had been abducted by aliens, I thought we would get very few calls, but we were inundated with calls for a month after we ran one ad. 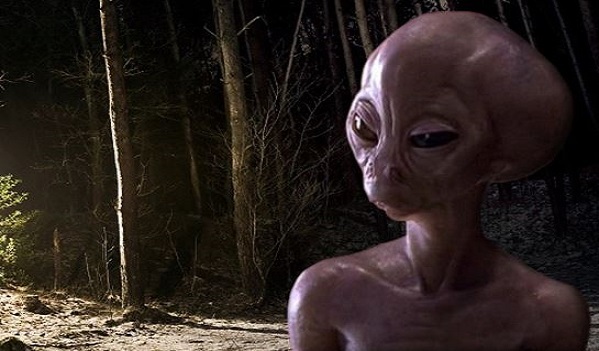 ” The psychiatrist said said that he is not a believer of alien abductions. “So, people have symptoms like psychological distress, anxiety, sexual problems, nightmares, and for better or for worse, today, being abducted by aliens is a culturally available explanation for why you might have some of these symptoms,” the psychiatrist said. The Abductee told a reporter that they expect to be abducted again in the future. KENS NOTE : It seems the more educated you are, the more narrow minded you become. Simple as that. If it can’t be touched, seen, smelled or heard by scientist, apparently it does not exist. Give me a break. The above image is a rendering. I witnessed a Dark boomerang craft, no lights, gliding across O’Fallon. This blended perfectly in the night sky, so it’s a miracle I noticed it; the movement caught my eye. It’s hard to estimate the size, since I would first have to estimate the altitude but I’d say it was lower than any airplane I’ve ever seen fly; maybe a few hundred feet. The angle I saw was side to belly of the craft. I viewed it for about 10-15 seconds before I lost sight of it due to trees and the line of sight. It looked like it had a wing span, likely V-shaped. There were no lights whatsoever. It looked dark grey in color (it was a very clear night here in St. Louis tonight). There was no sound; it was graceful, it glided utterly silently in the night. This will sound even crazier, but it left behind a sort of very subtle blurry end trail as went by. The trail it left looked sort of distorted, wavy… like the street on a hot summer day. I don’t know who to report this to. Should I call the police? It’s been almost 2 hours now, and I haven’t heard anything about it on the radio, news or internet. It was so discreet that I now find myself thinking these things could be out here every night and no one might see them unless they got lucky like I did. This was creepy. Does this sound like a military operation/practice? Maybe it was a surveillance drone or something like that. NOTE: The above image is a rendering. On October 11th, at about 10:23 pm, I was at a home on the southern outskirts of Denton, Texas, between Highway 377 and I-35W. Because this house is somewhat in the countryside, it is relatively dark at night there. A quarter moon was low to the west horizon and the sky was cloudless with a slight haze. I was outside on the north side of the house and picking out constellations when a jet passed overhead just to the east of my location flying from south to north and was probably a couple of miles away. I noticed the jet only because it was there and it diverted my attention to the northeast quadrant of the sky. But as as the jet passed by and began to fly over Denton, I saw a very fast-moving object approaching from the southeast. It appeared to be headed in a south/southeast to north/northwest direction and its speed was from 2 to 3 times the speed of the jet. In a split second I could see that it was on an intercept course. The object had no running lights or any other. It had a red/orange glow to it and actually was not very bright at all. What’s more, it was rather fuzzy and although it appeared from my vantage point to be round, it seemed indistinct in form. It was as if I was not able to see the whole thing. As it approached the jet from behind, a vague ping in my mind pointed out that the object was accelerating. Some part of my mind also reeled at the thought that the object was behaving like a missile. The jet abruptly veered to the northeast, but before the jet could even get halfway through its awkward turn, the object passed beneath the jet within a couple of hundreds of yards. At the moment that this occurred, it appeared as if the jet was standing still when comparing its speed to that of the object’s. In retrospect, what I saw of the red glowing object appeared to be a third or less of the size of the aircraft. As the jet lumbered off to the northeast I realized that the moment after the object had passed beneath the jet, it had begun to decelerate. It was now traveling at about the same speed of the jet and slowing. Its trajectory leisurely turned due north as it slowed even more. I strained to scrutinize the aft of the object/craft. I discerned that either the object had split into three smaller objects linked or extremely close together or that the aft of the craft had three reddish/orange “engines” arranged in an vertical isosceles triangle shape as in the letter I. It moved slowly to the north until it disappeared uneventfully. It occurs to me that this would be an excellent “incident” for investigation. There are 3 major airports in this vicinity: Alliance Airport about 10 miles southwest; DFW International 25 miles south; and Love Field about 40 miles southeast. Because the object approached the jet from behind, it must have been visible to radar. No one in the cockpit could have seen it but for radar. The fliers may have taken the initiative to turn themselves, reacting to their own flight radar but then they would have had to explain their action. If a tower (probably DFW) had ordered the turn, it surely must have been from what I understand, a near collision (within couple of hundred yards – maximum) should generate an FAA investigation or a report. I enjoy astronomy and have seen many UFOs both at night and during the day. This observation was the third I have witnessed involving UFOs interracting with jet aircraft, this being the least extraordinary. However, I am relatively certain that the other two involved military craft which, one may assume, would leave one no hope for retrieving a paper trail. This event, whether the jet was a freighter or passenger jet, appeared to be frightening enough for a civilian to want to be able to talk about and may have even caused injuries onboard the jet. The air space in which this occurred is one of the most heavily traveled in the country. This has to have been officially documented somewhere. Submitted by Mark K. NOTE: The above image is a rendering. Glowing neon green orb approx the size of a basketball whizzes by side of my house at a high rate of speed. I’m sitting in my chair watching TV when the power goes out in the room I’m sitting in. The light in the kitchen also went off. Electrical failure happens an instant before the green orb passes by and lasts for approximately 10 – 15 seconds thereafter. Light whooshing sound is heard. Outside inspection of the entire home perimeter 10 minutes later reveals no disturbances in the snow. Visibility is very good because of relective quality of the snow. Lighting equivalent to twilight. Power lines are connected on the side of the house where orb was detected. All electrical power wires are in there proper place and still connected. Nothing seems out of the ordinary. Oddly enough, back inside it seems that only the one side of the house where the orb passed by experienced electrical disturbance. Computer upstairs on the other side of the house is as I left it and shows no signs of having rebooted. Alarm clock is not flashing. If anyone else had a similiar exp. here please report it. NOTE: The above image is a rendering. This case was investigated by Ken Pfeifer of MUFON New Jersey and the case was classified as ”unknown”. 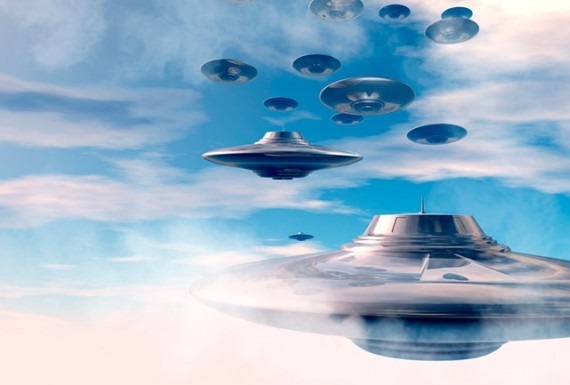 According to media reports A glowing round object making a speedy descent near the West Bengal-Bihar border early on January 26 left pilots of five aircraft baffled, triggering widespread speculation about UFO. The first person to sight the object was a senior Air India pilot who was navigating the aircraft at a height of 34,000 ft during its flight from Kolkata to New Delhi. 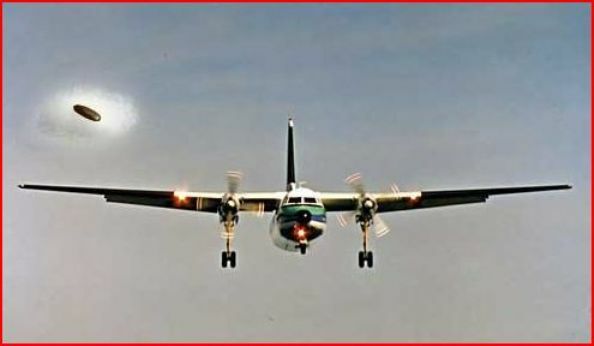 “The plane was just entering the airspace of Gaya, close to Bengal-Bihar border, when I first noticed the glowing object, below the aircraft, hurtling down at a very high speed,” Captain Rishi was quoted as saying by the Air Traffic Control (ATC) Tower here at Dum Dum International Airport. The Air India pilot initially didn’t pay much attention as it is customary for the pilots to notice several such things midair. But when the aircraft was close to Varanasi, the object was still brightly visible. Without wasting time, he informed the Varanasi Air Traffic Control from where ATC, Kolkata, was alerted. The officials at ATC pondered over whether pilots of other international flights that might have crossed the Kolkata-Bihar-Varanasi route, had also observed the glowing object reported by Capt Rishi. Accordingly, the ATC, Kolkata, beamed asking signals for other international flights that flew the same airspace during the period concerned. To their utter surprise, the air traffic control officials were told by as many as four foreign airlines flight pilots that they had seen the same object and all of them reiterated that it was falling down at a great speed! FinAir of Finland and Novou Air of Sweden were flying from the West to East while a couple of flights of Cathay Pacific and Dynasty Airways of China were moving in the opposite direction at an altitude between 34,000 and 37,000 ft over the airspace supposed to be in the trajectory of the object. Once the foreign airlines pilots radioed back the ATC tower here, confirming their sighting of the object, ATC engineers immediately got in touch with the Indian Air Force. However, the IAF engineers pointed out that their powerful radar had failed to track or notice any unusual object. NOTE: The above image is a rendering. I was heading to work on midshift on Mildenhall RAFB around 2300hrs when I pulled up to a stop sign on perimeter road and saw orange spheres shooting up above the tree line. There were more that a dozen lights and they hovered in place until all of them were airborne. They then moved from outside the fence line over the flight line toward Mildenhall village. These objects were fairly low for Aircraft yet they emitted no audible sound for their altitude and propulsion. Being a jet engine mechanic in the Air Force I have never seen any kind of craft of this configuration, that was soundless at such a low altitude. I contacted the Air traffic control tower on base and they said that they “didnt” see anything. For those with no aircraft experience a control tower is very high up with windows all around. To say that they couldnt see dozens of glowing orange spheres in the night sky is preposterous. All I have is my account of that night and am shocked that the USAF says there were no witnesses that night.I saw the objects as their trajectory took them across the flight line for around 30 mins until I was called back to work. I am still to this day curious and astonished as to what type of craft could do the things that these orange spheres/orbs were able that night. RAF Mildenhall is named after the nearby town of Mildenhall, Suffolk. It was established as a Royal Air Force station in 1930, and opened in 1934. During World War II, RAF Bomber Command used the station for operational combat missions until 1945. Placed on standby status after the war, it was reopened by the Royal Air Force and became a USAF-RAF joint operation base on 11 July 1950. Assigned to Strategic Air Command to station B-29 Superfortress bombers that date. It became a B-50 Superfortress base in 1952, and a B-47 Stratojet and KC-97 Stratotanker base in 1953 until 1958. Closed for runway repairs throughout 1958, the Military Air Transport Service transferred its main United Kingdom terminal to Mildenhall from RAF Burtonwood on 1 March 1959, and the base became “The Gateway to the United Kingdom”, for most U.S. military personnel and dependants arriving or departing the United Kingdom since. Assigned from Strategic Air Command to United States Air Forces in Europe on 1 September 1959 and RAF relinquished joint operations status that date. Has been in continuous USAFE operation to present. NOTE: The above image is a rendering. This is an incident I witnessed as a 6 year old boy. We lived in Grand Island, NE. The neighborhood was fairly new at the time and compared to today, was on the fringes of several farms and quasi-rural. The northern major road running east/west was Capitol Ave. and one block south was State St. Young kids in the neighborhood attended West Lawn Elementary (not the new one, but rather the old one at State St. & Broadwell). There were not many trees back then as the neighborhood was very new. There were even fewer houses. Most of the houses feature here on the right were not built until 1965/1966. So the view northward was very open and clear all the way up to Capitol. On Saturday, August 8th, 1964 a lot of the neighborhood kids and I were out playing in the street. It was typical stuff; riding bikes, playing Army, simply running all over the place. A lot of parents were out working on their yards, washing their cars, etc. Just a typical hot and very humid day in Central Nebraska. An object drifted over the sky, transiting NW to SE on its flight path. It got everyone’s attention pretty quick. It was huge. Far bigger than a modern airship or similar type of craft. It was slightly overcast that day, but you could see it clearly. It was black, shaped like an oval cylinder. It had a red line going around the middle of it that was lit up and appeared almost electrical in nature. I remember smelling ozone. Like you do when you short a wire out or with lightning. At the bottom and slightly to the side was some type of opening or even possibly a light source that was intense blue-white. It was not a bean or anything, at least it did not appear that way. It makes me think it was an opening as it appeared and then disappeared a couple of times. I do not recall anything coming out of it. But there was a strange sound, almost like ringing in your ears – but it was a really high frequency. It didn’t hurt or anything, but it was there. People were talking about it and my Dad (who cannot remember it happening) said it was probably some kind of USAF aircraft. One of the neighbors, my friends grandfather thought it was probably something the Russians had cooked up to scare people with. The odd thing in this was the longer it hovered there, the more quiet everyone got and soon stopped talking altogether. They just stared at it. Even my friend “D” and another friend, a girl named “P” stopped talking and just stared at it. No one spoke, no one moved. I think at some point that the same happened to me. I have no recollection of time between the incident and Sunday dinner, which was the next day. I do not know what happened in that time period, as the next day we were getting in my Dad’s Valiant and heading over to my grandmother’s house. This is approximately what the object looked like. I am guessing here, but I believe it may have been as large as a ¼ mile in length. It was simply massive. Most of the kids there that day are haunted by this incident. They know it happened, but none of the adults remember anything at all. It is like their memories were erased. This has haunted me for 50 years. I remember it as clear as daylight. NOTE: The above image is a rendering. Lovell: BOGEY AT 10 O’CLOCK HIGH. Capcom: This is Houston. Say again 7. Lovell: SAID WE HAVE A BOGEY AT 10 O’CLOCK HIGH. Capcom: Gemini 7, is that the booster or is that an actual sighting? Lovell: WE HAVE SEVERAL…ACTUAL SIGHTING. Capcom: …Estimated distance or size? According to the NASA Astronaut Neil Armstrong the Aliens have a base on the Moon and told us in no uncertain terms to get off and stay off the Moon. According to hitherto un-confirmed reports, both Neil Armstrong and Edwin “Buzz” Aldrin saw UFOs shortly after that historic landing on the Moon in Apollo 11 on 21 July 1969. I remember hearing one of the astronauts refer to a “light” in or on a crater during the television transmission, followed by a request from mission control for further information. Nothing more was heard. Professor: What REALLY happened out there with Apollo 11? Armstrong: It was incredible, of course we had always known there was a possibility, the fact is, we were warned off! (by the Aliens). There was never any question then of a space station or a moon city. Professor: How do you mean "warned off"? Armstrong: I can't go into details, except to say that their ships were far superior to ours both in size and technology - Boy, were they big!...and menacing! No, there is no question of a space station. Professor: But NASA had other missions after Apollo 11? Armstrong: Naturally - NASA was committed at that time, and couldn't risk panic on Earth. But it really was a quick scoop and back again. Armstrong confirmed that the story was true but refused to go into further detail, beyond admitting that the CIA was behind the cover-up. NOTE: The above image is a rendering. I don’t know how many times we’ve tried to speak. I want to tell you about my incidents. I believe it all started 9 years ago. At least what I remember. 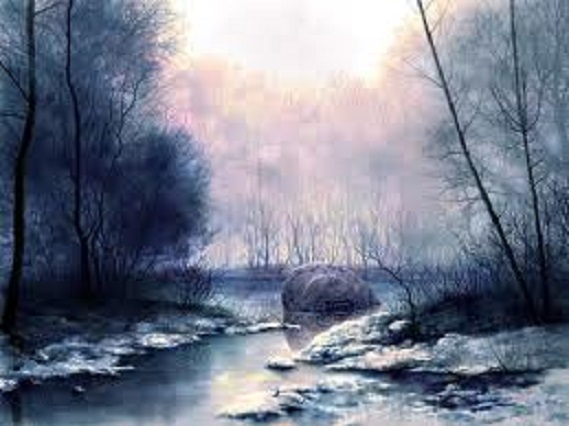 I was pregnant with my daughter and was awakened in the a.m by a huge light blue orb the size of one of those balls used at the gym for Pilates. I smiled and went back to sleep. I was at peace and didn’t make much of it because my family said it was my departed grandmother visiting me. My nephew seen this orb a lot also growing up. He was 4 at the time. My second incident happened coming back from dinner with my daughter and her dad. He was ranting that the day before how he saw a weird green ominous light above his mothers house. This was February 2010 around 4pm. It was coming down my street as soon as we get in front of my house he starts yelling “See that’s the weird type of sh** I’m talking about” as he pointed towards the bay. I looked up startled from his voice to my amazement there was 7 fireballs in a boomerang formation above the bay. They were silent. In shock I reached for my blackberry to take a snapshot and my camera was not working. I ran out of the car to grab my sisters and my daughter started screaming “Mommy they disappeared and then came back” they seemed to be putting on a show. They strobed, disappeared and reappeared. Then finally disappeared once we heard a jet coming from behind us. Last May came as a shock to me. I would have never thought they would have came back to the same location nonetheless stay for as long as they did. Coming back from visiting my sister in Philadelphia we witnessed a fireball above the expressway. My older sister and her sons faces became paralyzed as my daughter screamed “Mom their back!” We were so shook up that we had to stop at the nearest Wawa to get ourselves together. We called my sister in Philly and told her what we witnessed and her being a doctor said we were crazy. Boy no we weren’t. That sighting opened a Pandora’s box. The next night at 9 pm, I was on my laptop doing some work on my dining room table when I heard very loud helicopters followed by my sister yelling “Oh Sh** “Fanny those 2 helicopters almost collided trying to get down to the bay” I looked at her and said “They’re back”. I walked in front of my house and by then the kids ran out and guess what? They were back! This time they looked as if they were dancing in the sky about 6 or more fireballs that went from bright orange red to smaller white dots then back again. They stayed there for about 15 min. The helicopters stayed far from them. Next night. My sister almost gives me a heart attack bursting into my room around 4 am. “Are you here Fanny?” I tell her where the hell else would I be. My sister was abducted that night. Julie’s Abduction: I was in a silver sterilized room laying on a flat metallic examination bed. I looked to my left to see Stephannie on another bed. We were wearing white and were restrained. I noticed a couple short beings around the tables. Then I started to panic cause I realized I wasn’t in my room. Then a tall tannish being came in and I was calm. He started speaking to me telepathically. I asked him what were they doing? He said he was checking our DNA cause everyone on earth has alien DNA from different species. He claimed he was From Siruis. He said he had they have done this before to us. Then I started to panic again. I woke up in my bed catching the tail end of a room full of orbs. Next night I’m awakened by my daughter banging at my mothers door down the hall looking for me screaming where’s my mommy. I never left the house and I always fall asleep with the TV on. No explanation for that one. Next morning she said I wasn’t there and the bed was flat just my quilt and pillow. Our sightings lasted for about a month. On 4th of July while watching the show down the bay we turned around and my nephew and daughter pointed out what looked to be a moving star. My neighbor said Oh that’s just a plane. And my nephew and I locked eyes and smiled cause we new exactly what it was. None the less it was less then a mile off the ground and it was hovering in one spot. Solid white. 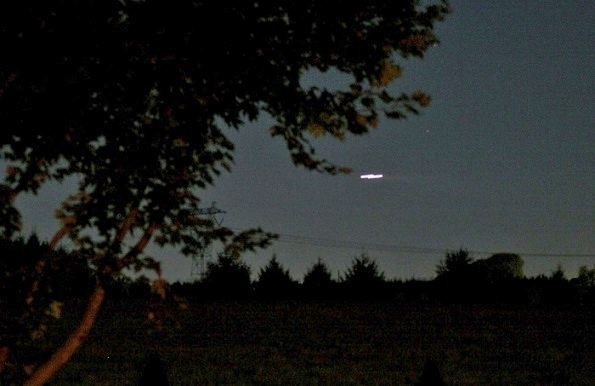 Since we noticed that fireball while coming back from Philly our sightings were almost daily for about a month and 2 weeks. NOTE: The top photo is a rendering. Special thanks to the witness S. L. for this amazing report. On my way to work I witnessed two low flying, triangular shaped craft moving in complete silence along Baltimore Washington parkway. I deliver the Washington Post Newspaper every morning. On Monday, 09/02/2013 between 2:30 and 2:45 AM as I took an exit off Greenbelt, Rd to merge onto Baltimore Washington Parkway traveling south towards Washington DC. I noticed two cars pulled on the shoulder with their hazard lights on. Then as soon as I fully merged onto the parkway, myself and passengers in five or so other vehicles witnessed two very low flying, triangular shaped craft move somewhat slowly along the Parkway and in complete silence. 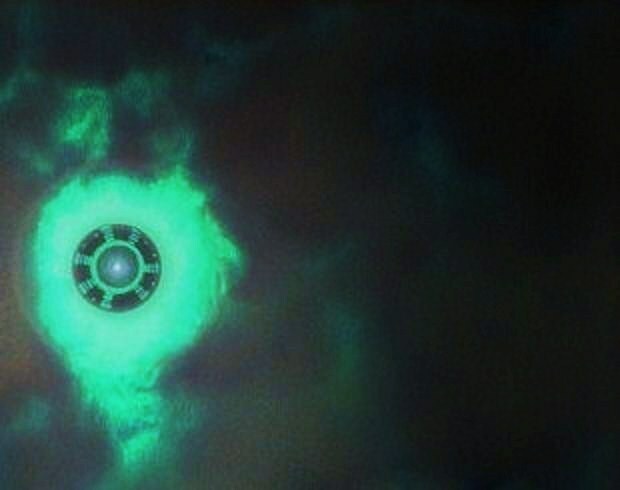 Both craft looked exactly alike, triangular in shape with three white lights, one on each angle, one red light in the middle and two small green lights towards the back. The craft was coming toward me as I traveled south on Baltimore Washington Parkway, then turned right running parallel to Interstate 495. It was foggy that night and we eventually lost sight of the two craft. I was only able to see the two green lights once they turned revealing the back, underside of the craft. Right before the event, I noticed many police vehicles on Greenbelt Road with cars pulled over as well as two cars pulled on the shoulder of Baltimore Washington Parkway with their hazard lights on apparently also witnessing the two craft. I have never seen anything like what I saw that night and will never forget it. I am 100% positive whatever I saw was not constructed by man. I found this sight trying to see if anyone else posted anything from that night as I am sure other people witnessed the aircraft as well. KEN’S NOTE: The above image is a rendering. There were many triangle sightings this day. 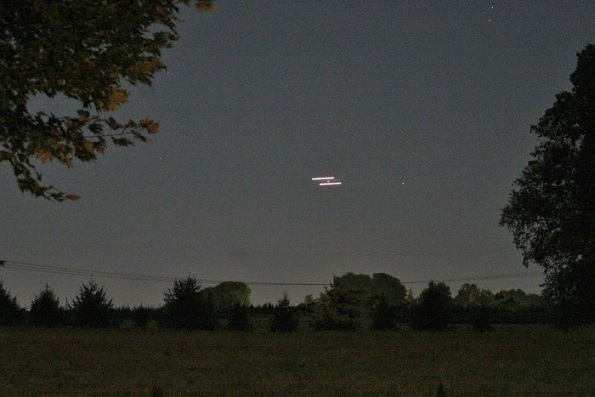 Google 9-2-13 triangle UFO and check it out. In 1972, a resident of Steuben County was out early one morning deer hunting in sub-zero winter weather. He hadn’t seen a buck in days. Oddly enough, he came upon a herd of more than a hundred deer gathered at the base of a hill. He marveled at this sight when something spooked the herd, and abruptly they were off and running. Suddenly, he was overcome with an odd sense of tiredness, with a dreamy feeling. He kept telling himself to not fall asleep for fear of freezing to death. He remembers a blinding white light. The next thing he was aware of was finding himself sitting on a tree stump trying to sort out how he got there. It was then that he realized that the sun was setting. He had lost about eight hours. For days afterward, he had a sort of voice or impression in his head that said, “Say nothing, they’ll think you’re crazy.” For years, he questioned what happened to him. 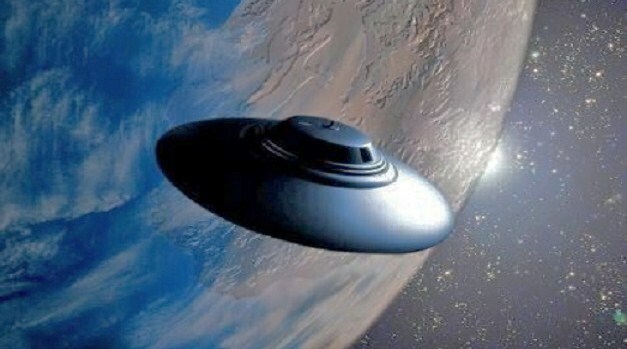 Let take a peek at recent New York UFO sightings in 2013. Sept. 28: At about 9:00 p.m. in Wading River, a Long Island resident, outside for a smoke, saw what he first thought was a bright glowing fireball of a meteor approaching from the northeast. But the object stopped for 15 seconds, became smaller, less illuminated, then turned north and quickly vanished from sight. 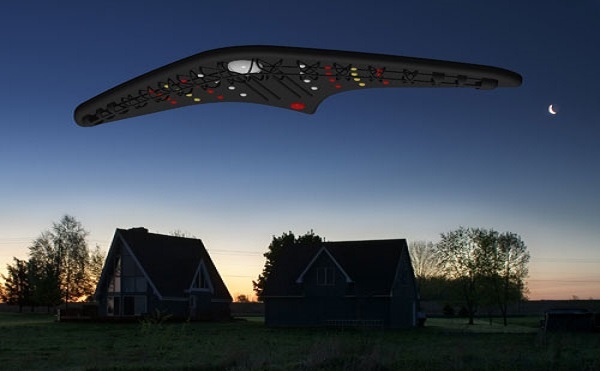 Sept. 29: At about 2:30 a.m. in Tonawanda, a resident reported seeing a huge triangular object silently pass over his house. It appeared to be twice the size of a passenger jet. The lights on its underside had an orange glow, then changed to flashing red and white, then stopped altogether. The observer further reports seeing two helicopters fly toward the object, but it quickly disappeared before they could reach it. Oct. 1: At about 7:20 p.m. in Webster, a guy and his girlfriend witnessed up to 15 orange-red balls streaking across the sky, making no sound as they traveled from the southwest to the northeast. The observers report that as the objects flew overhead, the neighborhood dogs began barking in an uncharacteristic manner. 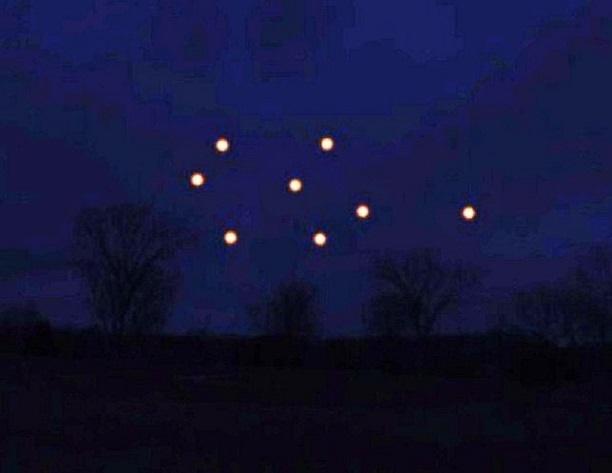 Oct. 1: At about 8:04 p.m. in Cambria, a motorist and friend returning home witnessed from the roadside six very bright reddish-orange objects in a distinctive equilateral triangle formation. The objects are reported to have descended below the tree line about a mile from the observers. After a few minutes, several of the craft rose above the tree line and headed west rapidly and then faded. NOTE: The above image is a rendering. ASTRONAUT GORDON COOPER’S MESSAGE TO THE U.N.
– Astronaut Gordon Cooper addressing a U.N. panel discussion on UFOs and ETs in New York, in 1985; Panel was chaired by then U.N. Secretary-General Kurt Waldheim. The above message was given to the U.N. by Astronaut Gordon L. Cooper, one of America’s original seven Mercury Astronauts. Cooper orbited the Earth for a record 34 hour, 22 orbit flight in the spacecraft ‘Faith 7’, in May of 1963. He has been outspoken about the need for an open inquiry into UFOs – based on his own personal experience of sighting UFOs in space and the testimony of other Mercury, Gemini and Apollo Astronauts. “One of the few individuals whose prominence is beyond question has, however, over the past few months, dared to open his mouth and challenge the status quo. 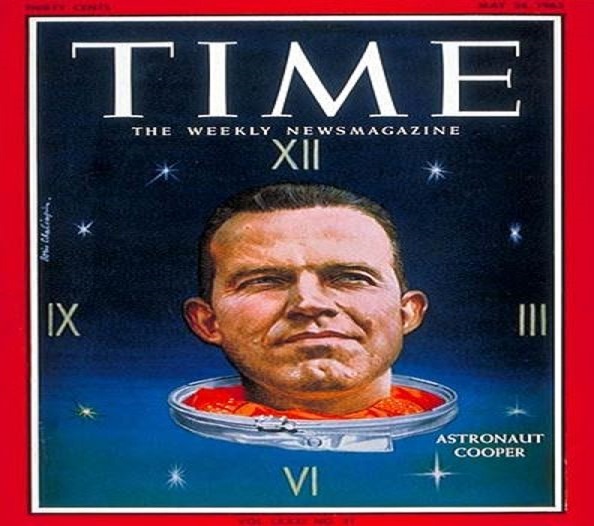 Gordon Cooper was one of America’s original astronauts. He helped pioneer this country’s space exploration efforts when, aboard a tiny space capsule known as Mercury [Faith] 7, Cooper orbited the Earth for 34 hours, proving that man could live outside our atmosphere for prolonged periods. His patriotism, bravery and respectability go without saying… Cooper has recently made several public pronouncements concerning his strong belief in UFOs. While a guest on the Merv Griffin Show, Cooper shocked the viewing audiences by speaking for over five minutes on a topic that was only within the past few years often considered too bizarre for polite conversation. But there were some things that Cooper wouldn’t even discuss on the air in front of the curious multitudes. Luckily Lee Spiegel is a personal friend of Gordon Cooper. They have conferred on several occasions, and while in the company of the man who is bound and determined to crack the ‘Cosmic Watergate’ which he is convinced exists within the higher echelon of government, the former space traveler is more than happy to talk about his UFO experiences – and they are many. In the early 1950s, Cooper was assigned to a jet fighter group in Germany. (The above article was excerpted from the book “MJ-12 and the Riddle of Hangar 18” by Timothy Green Beckley; 1981; Inner Light Publications P.O. Box 753, New Brunswick, N.J. 08903; p.12 – 14. An excellent book — JS) NOTE: THE ABOVE IMAGES ARE RENDERINGS. I felt a disturbance in my side. I began to think about alien related topics, such as telepathic communication with beings, possible abductions/contact in the past, etc. Against my control, I walked to a chair (one I usually dont sit in) in my living room and gazed out the back door. I noticed a bright glowing gold craft appear in the sky, shortly followed by another beside it. I ran outside to stare at them. They displayed movement and light in which Ive never thought possible of any aircraft. I noticed they shut their lights off, and I turned around and noticed my parents inside my house. I went back inside to tell them the great news, but they dismissed it. My mom then left and my step-dad went to bed. I kept staring out the back door, and I saw them again. I ran to my room to grab the dislocated scope of a gun to get a better look at them. When I went back outside, they were glowing very bright, with bursts of light. I walked out into a field to get closer. As I gazed upon the crafts, I felt an inner joy, a great bliss, in which Ive never felt before. I periodically lost control of my body, and it seemed as if I offered myself to the crafts. I dont have much memory from that, but the next thing I remember was me holding up the scope to get a glimpse of the second craft, it seemed to come closer to me. I viewed it with great detail, it looked like nothing I could even imagine. It also seemed to let out a white light, which seemed as if it was aimed in my direction. I then took the scope away and saw beings maybe 15 feet away from me. I became overwrought with fear, and I began to hyperventilate. I turned to run, but I didnt make it far. I found myself unable to control myself, and I turned around to stare at them more. It appeared as if one came towards me, and at that moment, I managed to turn and run away. I remained outside and called a close friend, emotionally breaking down. I still noticed the beings, but I looked away for a few seconds and they were gone, and I saw the crafts in the sky again. As I write this, I grow uncontrollably tired and I feel the disturbance in my side once more. NOTE: The above image is a rendering.